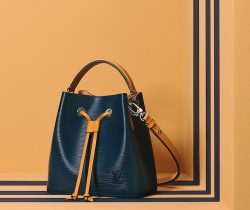 Introducing the Louis Vuitton Cruise 2019 Runway Bag Collection. The latest collection was presented at the Fondation Maeght in the village of Saint-Paul-de-Vence.. Introducing the Gucci Cruise 2019 Runway Bag Collection. The recent show was held at the Promenade Des Alyscamps in Arles, France. Inspired by..
Presenting the Dior Cruise 2019 Runway Bag Collection. The Dior Cruise 2019 show was recently held at the Grandes Ecuries of the Domaine.. Introducing the Prada Resort 2019 Bag Collection. Prada’s latest collection was recently shown at the Piano Factory in New York. The Resort 2019..
Chanel has just presented their Cruise 2019 Collection. Karl Lagerfeld has transformed the Grand Palais in Paris into a nautical adventure, which even..